Level 4. Arranged by Nancy Faber and Randall Faber. Faber Piano Adventures. Supplementary, Recital. Softcover. 40 pages. Faber Piano Adventures #FF1191. Published by Faber Piano Adventures (HL.420224). 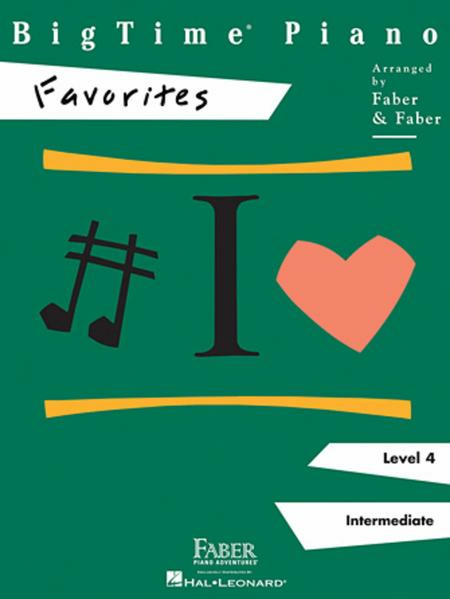 These traditional, ever-popular melodies are presented in pianistic arrangements for the intermediate piano student. The pieces are in the keys of C, F, G, D, A minor, and D minor, and feature a variety of sounds. Includes: Beautiful Dreamer • Bill Bailey, Won't You Please Come Home? • Cielito Lindo • Clair de Lune • Fanfare on America • Good Morning Blues • Halloween Sonatine • I Love a Piano • I'm Henery the Eight, I Am • Morning Has Broken • Oh! You Beautiful Doll • The Spy • Tarantella Italiana • Theme from the Moonlight Sonata. Theme from the Moonlight Sonata. without going crazy and this book does that for them.